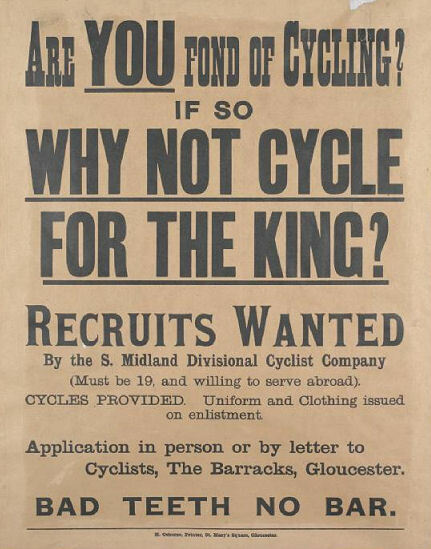 25th County of London Cyclist Battalion. The London Regiment - Bicivilizados. Ciclismo urbano. Alegría entre tus piernas. The 1/25th battalion’s WW1 service was undertaken in India and the North West Frontier. In 1917 they participated in the Waziristan Campaign. In 1919 they helped quell the Amritsar uprising, and participated in the 3rd Afghan War. In 1917, 200 of the 1/25th left India and fought in Mesopotamia. Most of the Battalion did not return to the UK until Dec 1919. All without their beloved bicycles. 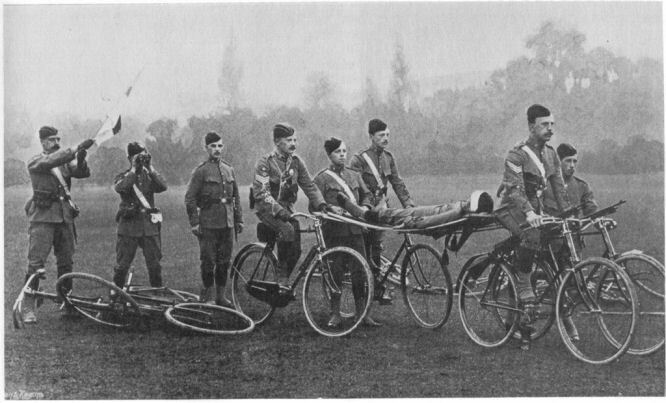 THE thirty-three years from 1887 to 1920 witnessed the conception, birth, growth, adolescence, and premature death of military cycling (as distinct from mere despatch riding) in the British Army. 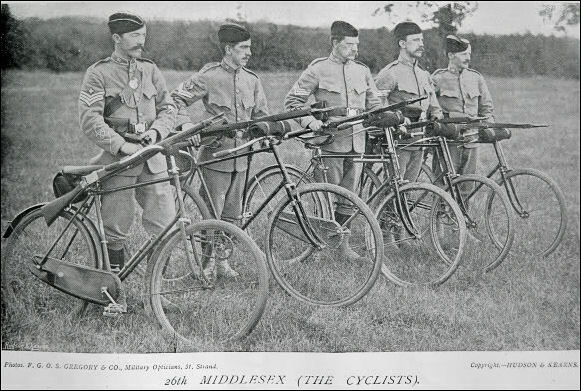 For the first twenty of these years, the 26th Middlesex (Cyclist) Volunteer Corps was `the only unit in Britain devoted entirely to the development of cyclist tactics. 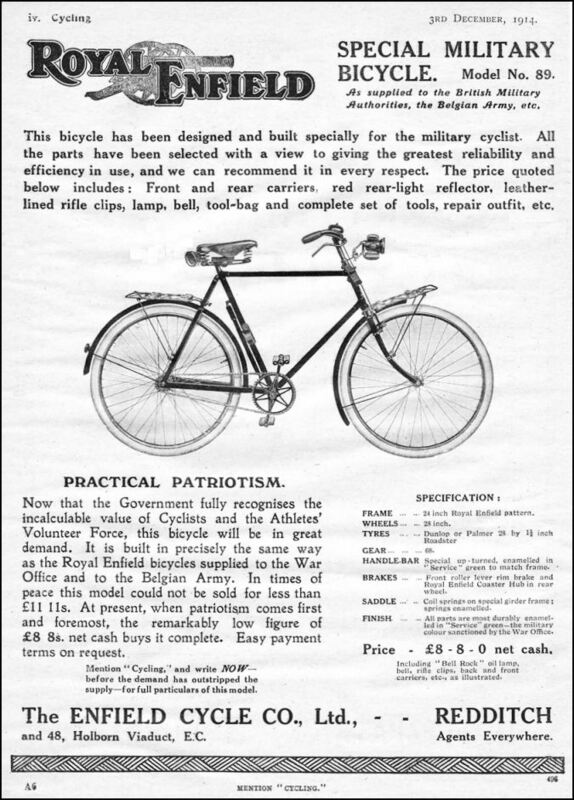 During the next seven years, its successor, the 25th (Cyclist) Battalion, The London Regiment, was in the forefront of the movement until, on conversion to infantry, it retired to permit its Second Line, already over a year old, to carry on the tradition almost to the 31st March, 1920, when cyclist units, as such, ceased to exist in the British Army. 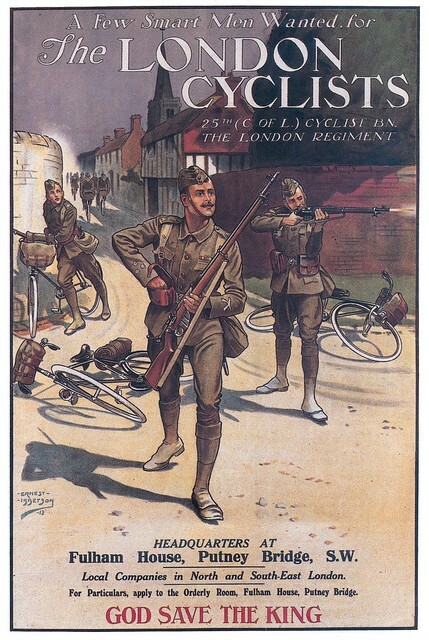 > The birth of the London Cycle Corps & the 26th Middlesex Bn. 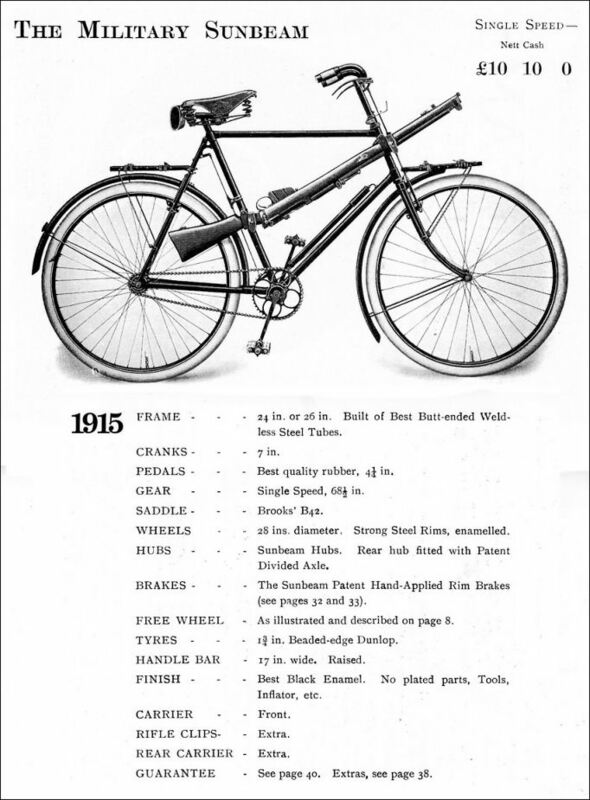 > CYCLING TO WAR: The History of the AIF/NZ Cyclist Corps 1916-19. McCrae, Slouch Hat Publications, 2008 1st edition. 176pp. 18 x 25 cms. Original cloth in dustwrapper. As new. Illustrated. The two Anzac Corps Cycling Battalions were formed in 1916. They were especially active in 1918.